Do you play? Are you interested in joining us? 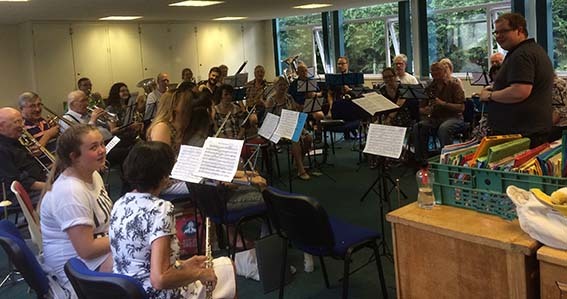 Nantwich Concert Band always welcomes new players. We have no minimum entry but grade 3/4 is a good level for 2nd/3rd parts. Absolute beginners & improvers can join the Wind Band (reading music would be a help). 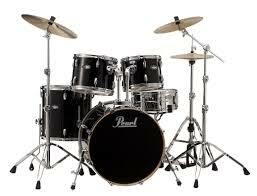 We have our own Drum Kit, so you don't have to worry about transporting yours. We just need someone to play it! (reading music essential). If you'd like to join us, we are a very friendly bunch at Nantwich Concert Band and would welcome you if you turn up with your instrument. Come and join us, have fun and make music! Under the direction and guidance of our Musical Director Nick Birch, band rehearsals are fun, sometimes hard and always educational. Nick is an award winning trombone (Foden's) and euphonium player himself and has worked under the batons of some of the country's best conductors. He is able to pass on to us many of their techniques, which help us all to play to the best of our ability. He expects players to practise at home any passages they find difficult, so we can use the rehearsal time to the maximum benefit of the whole band. He is always approachable before or after rehearsals for anyone needing individual help. The hall is a well-equipped venue with plenty of nearby parking. Our dedicated DBS checked Welfare Officer for the Concert Band is Buffy Robinson (principle flute) She is on hand for any welfare concerns. It is conducted by our Musical Director Nick Birch and members of the Concert Band are there to help as 'mentors' to new players. Our dedicated DBS checked Welfare Officers for the Community Training Band are Sally Tooze and Buffy Robinson. They are on hand for any welfare concerns. Rehearsals are informative, educational and fun and a great step towards joining the main Concert Band.